(NAN)The National Health Insurance Scheme (NHIS) said it would enrol members of National Youth Service Corps (NYSC) in the health scheme to enable them have access to quality healthcare. A statement by NYSC Director of Press, Mrs Bose Aderibigbe, in Abuja on Friday, said Executive Secretary of NHIS, Prof. Usman Yusuf, disclosed this when he visited NYSC Director-General, Brig.-Gen. Sule Kazaure. It said that Yusuf explained that the decision to enrol the corps members in the scheme was in compliance with a Presidential directive to NHIS authorities. 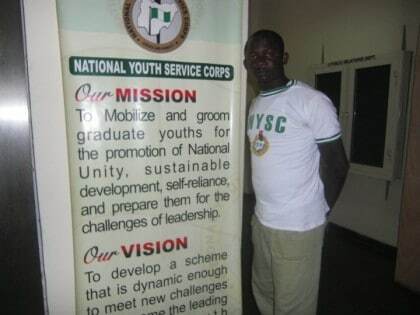 Yusuf, the statement said, disclosed that the scheme had received a directive to find evolving measures that would enhance access to qualitative healthcare for corps members. He said that to commence enrolment, NHIS officials would go to all camps during the orientation course to capture biometric data of corps members. “As the corps members get posted to places of primary assignment, the NHIS would assign each of them to a hospital where they will be getting treatment in the event of illness. “This will avoid hitches often occasioned by failure of some HMOs to make appropriate payments to hospitals,” Yusuf was quoted as saying. It stated that the Executive Secretary also announced plans to deploy corps members posted to the NHIS for primary assignment to its desk offices that would be established in all hospitals nationwide. The statement said that the desk officers would to serve as advocates for the enrolees and also the “ears and eyes’’ of NHIS in the hospitals. According to the statement, Yusuf said that the desk officers would have direct access to him and that they could report cases of neglect and ill-treatment by hospitals direct to him. It also quoted the NHIS boss as commending NYSC’s role in the unity and development of the country and pledged his support to its continued existence. The statement said that NYSC Director-General, in his response, appreciated NHIS for its activities and said that NYSC management was already nursing similar idea to advance welfare policy of the scheme. It said that Kazaure lauded the initiative of making direct payment to hospitals, adding that it would prevent failure of the programme as was the case in the past. He urged NHIS authorities to ensure that all corps members enjoyed comprehensive healthcare service.